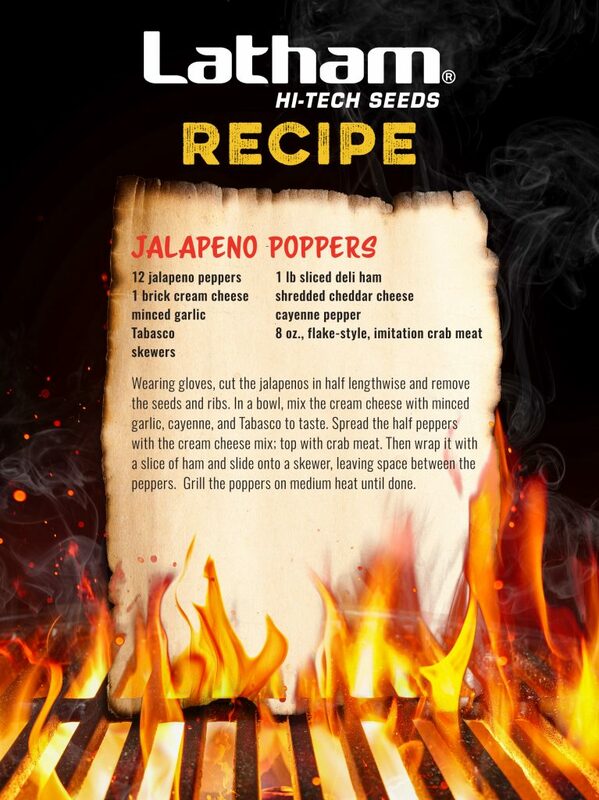 Super Bowl Sunday provides a reason to gather with family and friends around tables filled with your favorite game day foods, regardless of whether your favorite team is playing. Football fans Ryan and Meg Schon honed their tailgating skills when their favorite team didn’t have a hope or a prayer of post-season play. The Schons (pronounced “shown”) met when they were both students at Iowa State University. Like many Cyclone fans, they’ve been loyal and forever true to their school. 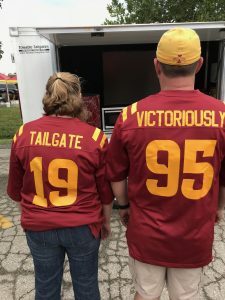 Their eternal optimism prompted them to develop the mantra of “Tailgate Victoriously.” It’s a tagline that has become so ingrained in their fall activities that Ryan created Cyclone jerseys with the numbers “19” and “95” to commemorate the year he and Meg were married. “When Meg and I lived in St. Louis, we drove to Ames for every home game. We never knew what to expect from Cyclone football during those years, so we started to say, ‘At least we won the tailgate!’ That turned into the mantra, ‘Tailgate Victoriously.’ And after 23 years, we’re undefeated,” says Ryan. These proud Iowa State Alumni Association members have become known for hosting 30 to 50 friends and family members during every home ISU football game. The Schons even packed their grill and headed south in December to tailgate in parking lot before the Alamo Dome. They were in good company as ISU fans, who are known for following their team, helped set a record attendance of 60,000+ at the Valero Alamo Bowl. The Schons are finding more time to tailgate now that their kids are older. Dani, 23, and Andrew, 19, are both majoring in education at Iowa State. Twins, 17-year-olds Emily and Jacob, are juniors at Ankeny High School. Ryan brings this same passion and energy he has for faith, family and fun to the job. He has nearly 25 years of experience in agronomy, marketing, and precision agriculture. Ryan grew up in Glidden, Iowa, where his family owned a lumber and construction business. His grandparents also farmed in Carroll County. “I learned so much growing up in a family business: working hard, making work fun and doing whatever it takes to get the job done,” says Ryan, who earned a Bachelor of Science degree in Agronomy from Iowa State University and a Master of Business Administration from Lindenwood University. As senior corporate development manager for Granular, Ryan led the post-acquisition integration of Granular with Encirca. He provided a voice for farmers as new Encirca Services were developed with Pioneer Agronomy Science, data scientists, software development, field teams, and external collaborators. 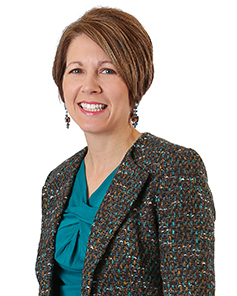 Ryan also served as a business development manager and traits marketing lead with Monsanto. During that time, he and his family lived abroad for 18 months. While Ryan enjoyed his time abroad, he enjoys staying true to his Iowa roots. 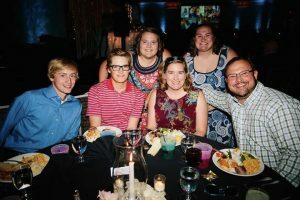 He is active in his church, Relay for Life and the Iowa SIDS Foundation. 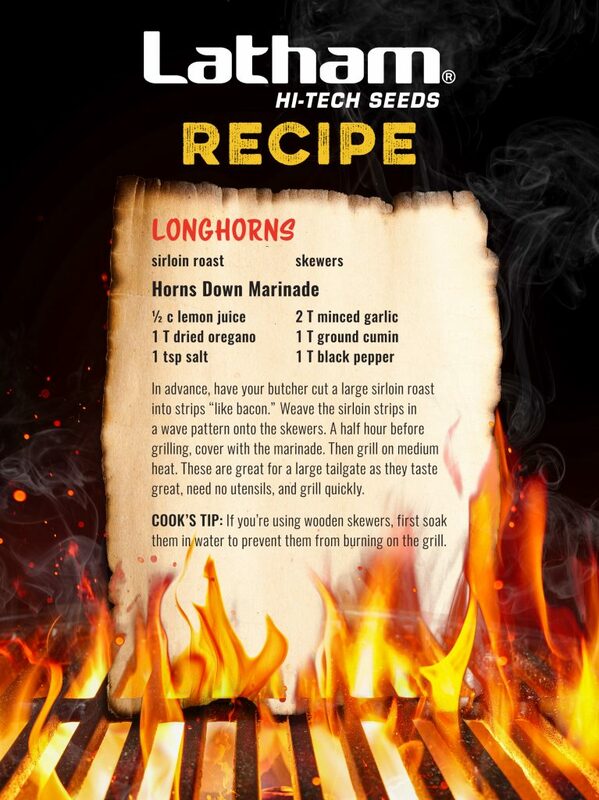 Today he and Meg are sharing with us a few of their favorite tailgating recipes. 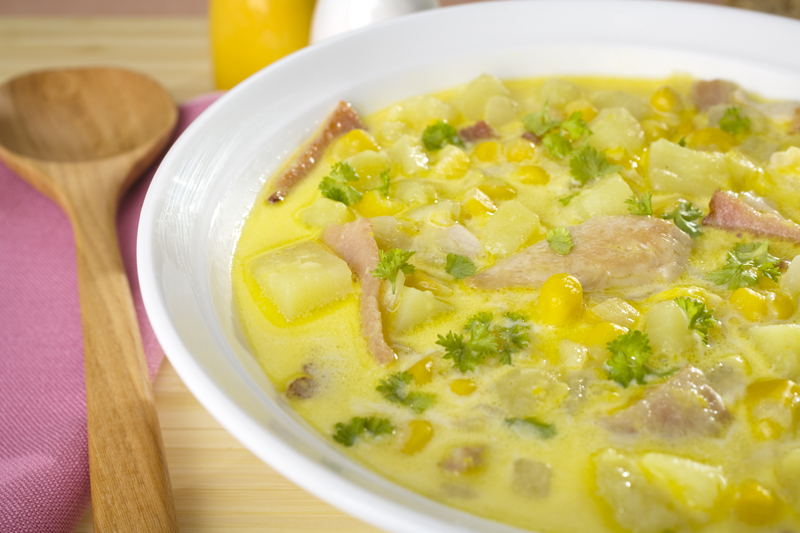 Check out the “recipe card” graphics, and scroll to the bottom of this post for their Chicken Bacon Corn Chowder recipe. Heat the bacon and olive oil in a large pot over medium heat. Cook until the bacon fat is rendered and the meat firming but not yet crisp, about 5 minutes. Add the celery and carrots. Reduce the heat to medium-low and cook, stirring occasionally until the vegetables begin to soften, about 6 minutes. Add the potatoes, corn, and thyme. Continue to cook, stirring occasionally, until the veggies are fully soft, about 8 additional minutes. Add the chicken broth to the pot. Bring the broth to a simmer over medium-high heat. Turn down the heat to medium and simmer until potatoes are tender, about 10 minutes. Add the cream and chicken. Return the chowder to a simmer, season to taste with salt and pepper. Ladle into warm bowls and serve.